Who wants to take a trip to Edmonton in August? 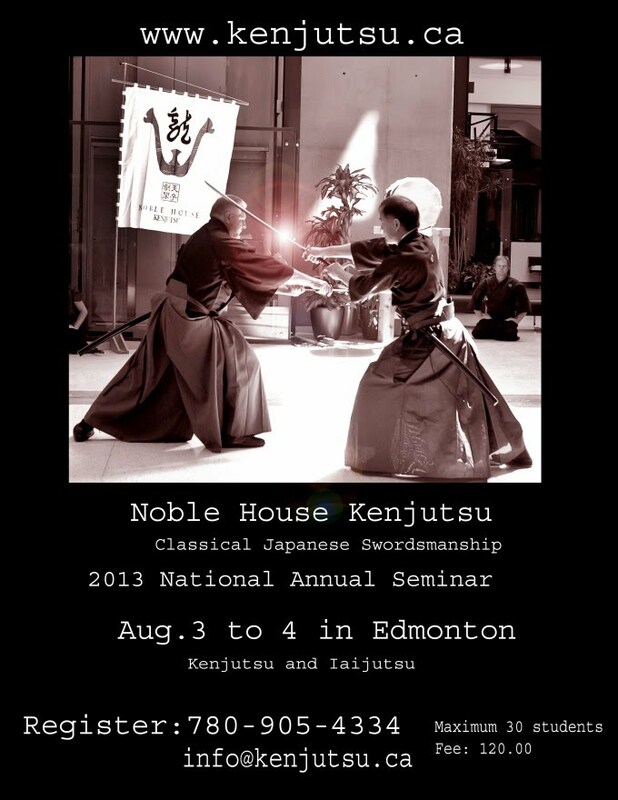 Noble House Kenjutsu is pleased to announce an upcoming seminar over August 3 and 4 in Edmonton. The seminar will cover material in both kenjutsu and iaijutsu. No prior experience is necessary, and all skill levels are welcome. Note that seminar size is limited to 30 students. For more information, or to register, e-mail info@kenjutsu.ca.